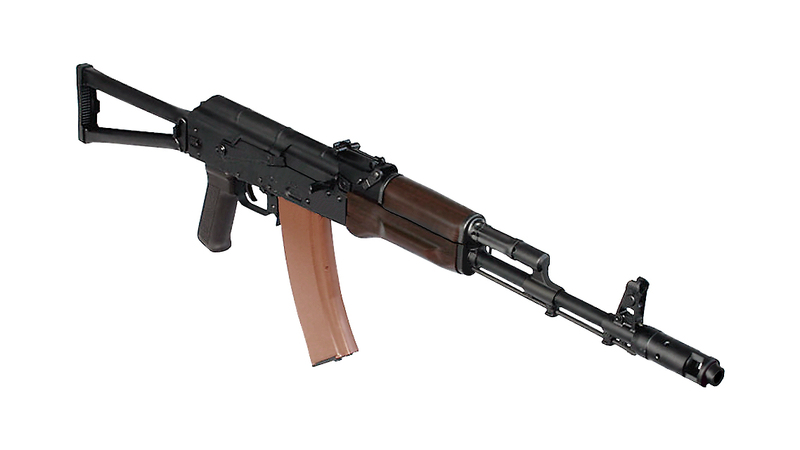 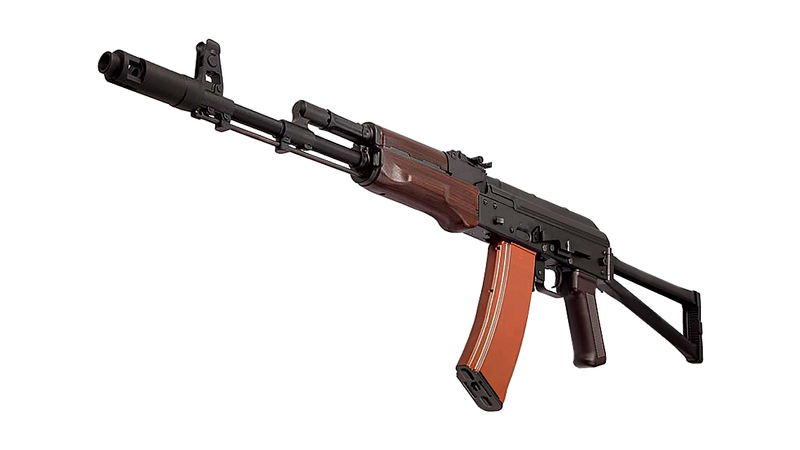 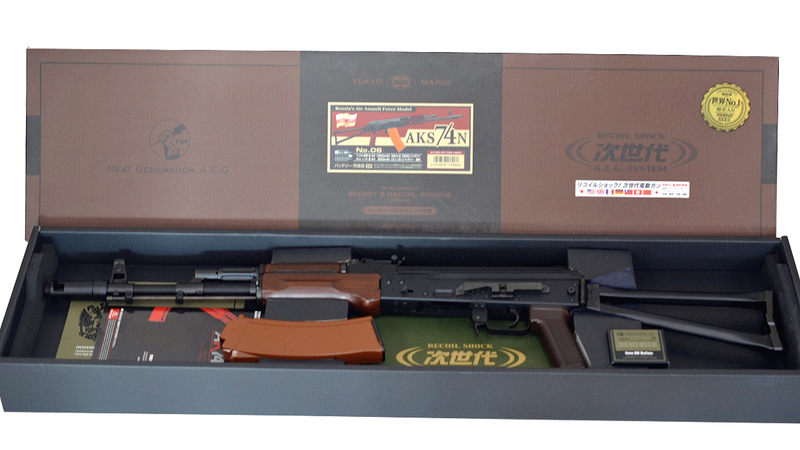 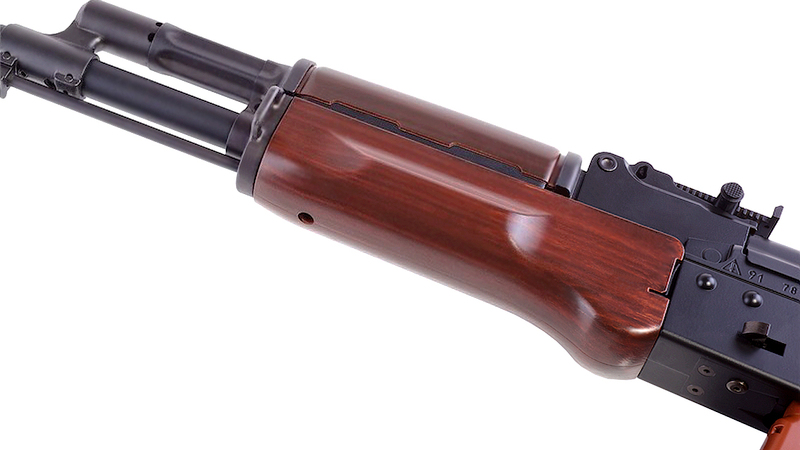 This brand new replica of the AKS74N from Tokyo Marui really does look the part, complete with a beautiful wooden handguard. 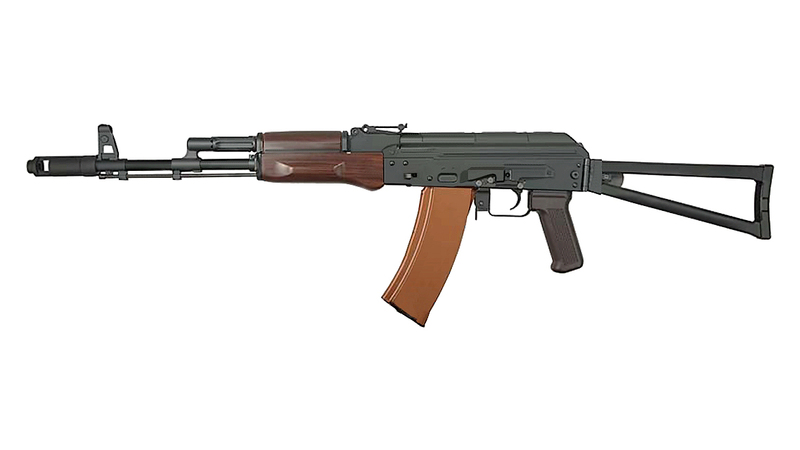 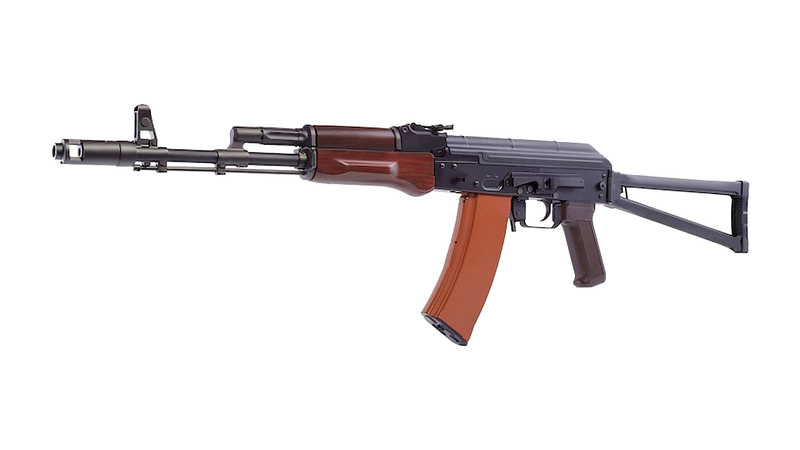 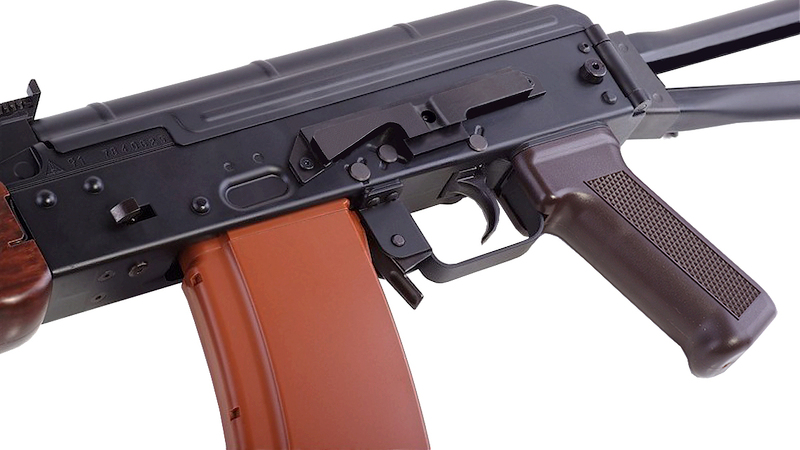 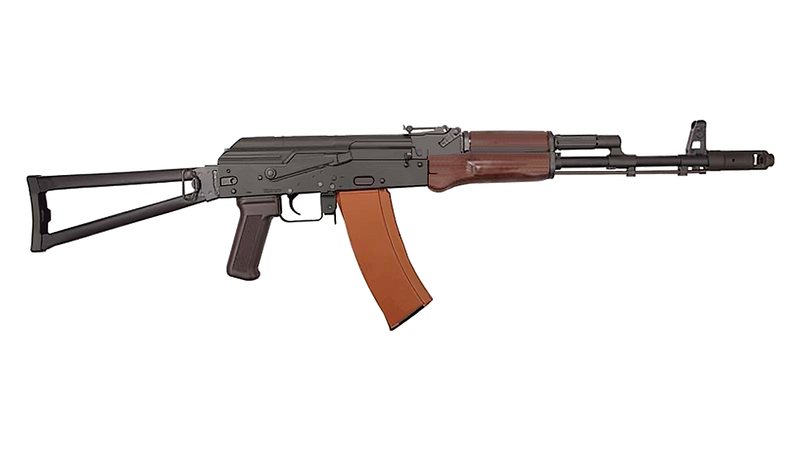 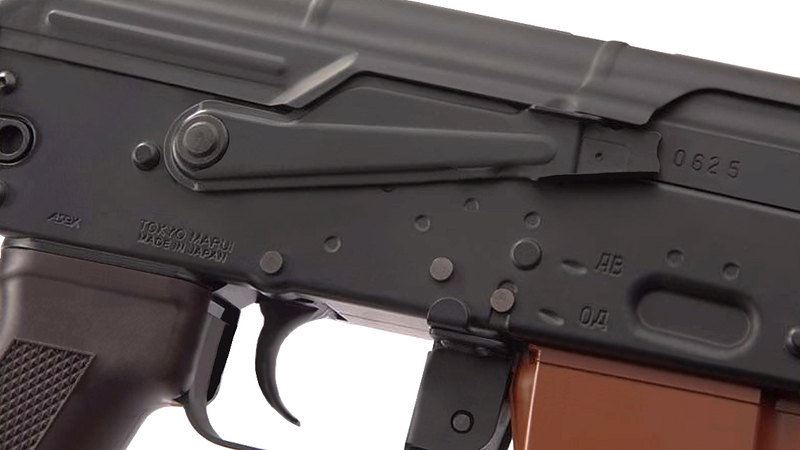 Recreated as faithfully as legally allowed, the Tokyo Marui AKS74N has been created to look as near to the early models of the AK74 as possible. 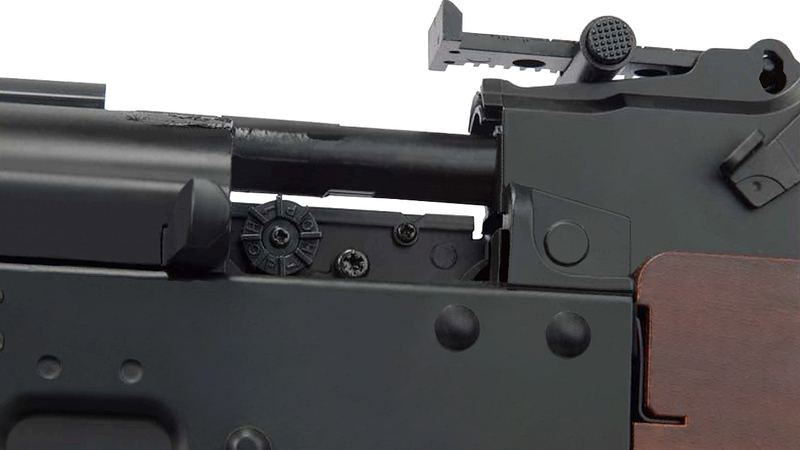 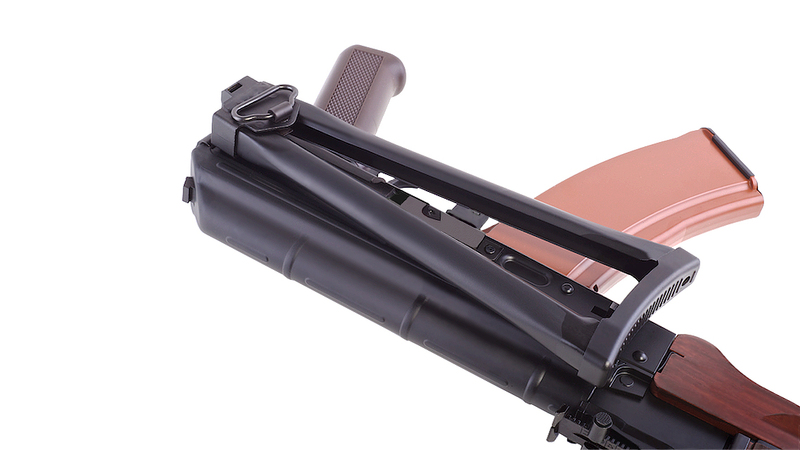 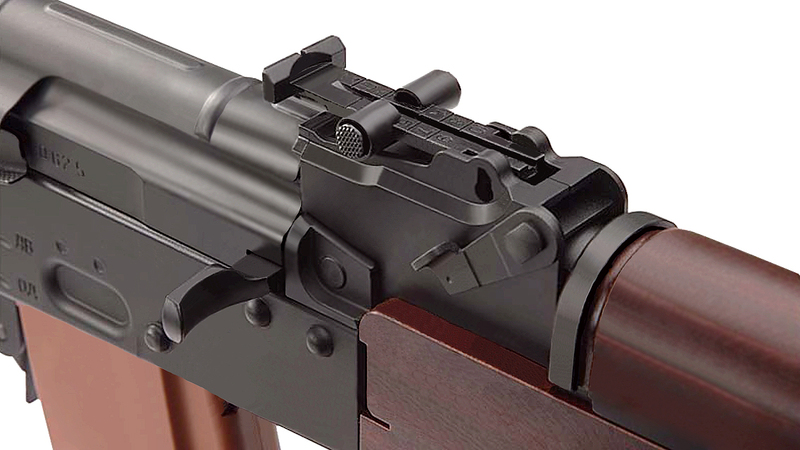 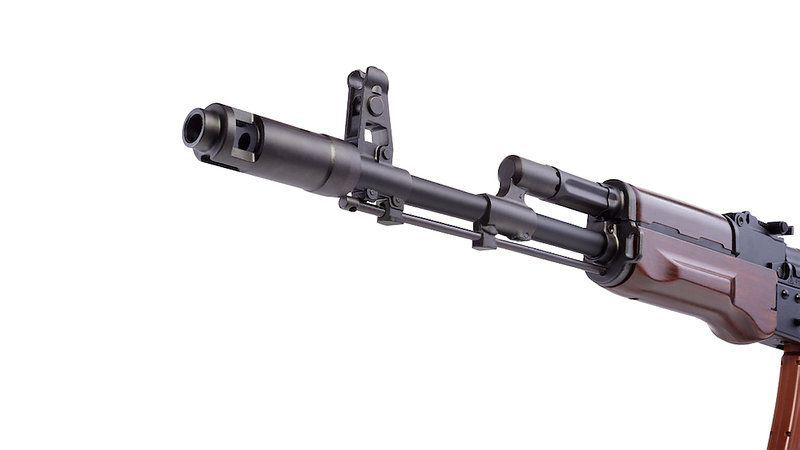 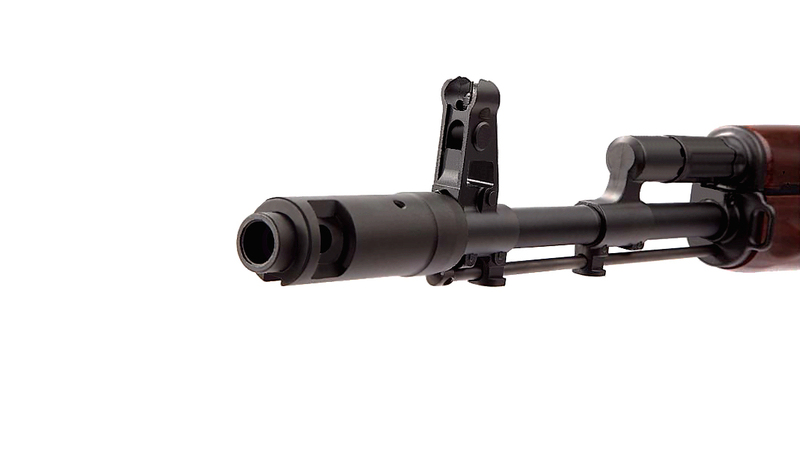 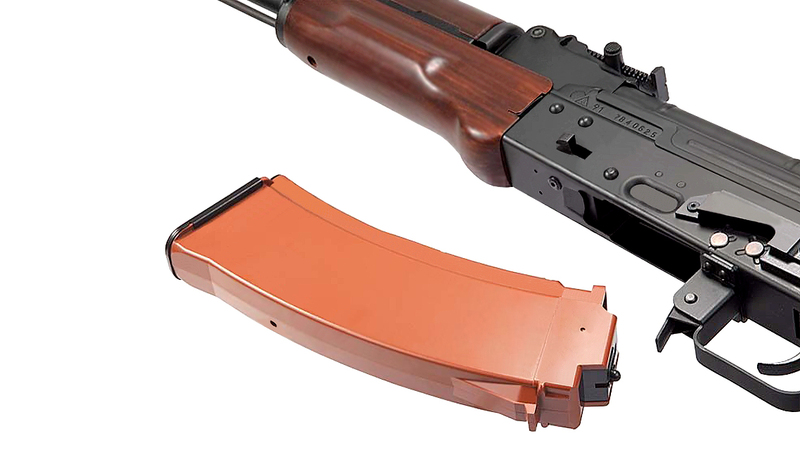 The difference that sets the Tokyo Marui AKS74N apart is that instead of using a stamped steel skeleton stock, the TM AKS74N uses a black Fiber Reinforced Polymer Stamped folding skeleton stock.